Interested in the Rat Terrier temperament and how to make a smart decision to bring one home? Did you know the Rat Terrier was named by former President Theodore Roosevelt? Roosevelt named them Rat Terriers after his very own terrier eliminated a White House rat infestation. Made up of several different terrier breeds, the Rat Terrier is an all-American breed that was bred to hunt. Often found on farms, this breed is best known for their ability to catch prey. The Rat Terrier dog is best known for their cheerful, outgoing temperament. Sometimes referred to as a “Rattie”, this is a breed that loves to be around humans. Not only will they join you on your weekly hike, Ratties will be just as happy lounging around and watching Netflix with you. This is an active breed with intelligence and cleverness. Rat Terriers tend to get bored when left alone for long periods of time and can become destructive. Rat Terriers can be vocal. They tend “talk” to you through grumbling and mumbling. They also love to paw at you for your attention. This breed is also known to bark – especially at strangers. Their propensity to bark at strangers makes them a great watchdog. And while they are generally friendly, Rat Terriers can be wary of strangers. Rat Terriers make amazing family pets due to their extreme intuition and perception. They tend to intuitively respond to their owners’ moods and absolutely love to please their humans. Thanks to their active nature, Ratties can make great companions for children. But only if the child is not too small and knows how to properly play with a puppy. You can often find Rat Terriers and children sleeping under the covers together – especially when raised together. Pack-oriented, the Rat Terrier typically gets along with other animals – including cats – when raised with them. A four-legged companion would even help keep them company if you are gone for long periods of time. For all the good qualities of a terrier, the Rat Terrier has their share of unattractive traits. For example, they are diggers. Rat Terriers are infamous for their digging and have no problem spending hours digging in the backyard. Tip: Go here to learn how to stop your dog from digging. If you fear for your yard, designate a spot for them to dig and they’ll be perfectly happy. Another not-so-ideal trait? Rat Terriers are escape artists. Leaving them alone in the yard for extended periods of time can lead to an empty backyard. And not only are they quick – they can jump. Lastly ensure your Rat Terrier puppy is socialized properly – otherwise, they could become aggressive to other animals or strangers. Read this if you have an aggressive Rat Terrier on your hands. As with any other terrier, training a Rat Terrier can be a chore. Though extremely intelligent, this breed is both stubborn and determined. This is a breed that thrives on praise and does not respond well to harsh training methods. Start training your Rat Terrier early. Be consistent with your training but most of all – be patient. Patience coupled with positive reinforcement and treats will ensure your Rattie learns quickly. This is not a dog that does well when left alone with nothing to do. Provide them with food puzzles, stuffed Kong toys, and mental games to keep their mind and body busy when you aren’t home. Read more about how to mentally stimulate your Rat Terrier. When you are home, schedule walks and playtime to get their energy out. Use them as training sessions for an added bonus. Finding your perfect Rat Terrier puppy doesn’t have to be stressful. First, you’ll have to decide whether you’d like to adopt a Rat Terrier or purchase one from a breeder. Rat Terriers for adoption won’t always be purebred. So, if you are looking for a purebred Rat Terrier, adoption is not the way to go. But, if you are open to a Rat Terrier mix or almost purebred Rat Terrier, adoption is a good choice. Looking for an even smaller Rat Terrier? Why not consider the Toy Rat Terrier? Weighing just around four to six pounds and reaching a height of around eight inches, they are a tinier version of the typical Rattie. Rat Terrier puppies can cost anywhere from $400 to $800 and upwards depending on the lineage. However, there are several factors in play when it comes to Rat Terrier puppies for sale. The breeders’ location and reputation, for example, can be a factor – as well as the litter size and lineage. The price of a Rat Terrier for sale also depends on the popularity of the breed. The more in-demand the breed, the higher the price. Interested in adopting a Rat Terrier? A Rat Terrier rescue should be your first stop. While there may not be a dedicated Rat Terrier rescue in your state, your nearby or local shelter may have Rat Terriers or Rat Terrier mixes available for adoption. With adoption, you can choose to adopt a Rat Terrier puppy or an adult. Adopting an adult Rattie is great for those who don’t want to go through training a puppy or for someone who wants a calmer, older dog. Reputable Rat Terrier breeders will be receptive to your questions and ask you questions in return. They should ask you questions pertaining to your life and circumstances to ensure a Rat Terrier is a good fit for your family. A good breeder will also raise their litter indoors rather than housing their litters outdoors in kennels. They will also have all relevant and necessary health tests and certificates. The Rat Terriers coat is smooth and short with shiny fur. They often come in several colors and combinations of colors such as white, black with rust or tan, white with tan or black, red or chocolate. Grooming a Rat Terrier is fairly easy thanks to their short coat. They only require weekly brushings to remove loose hair. This is a breed that sheds in the spring and fall but only requires baths when necessary. The Rat Terrier life expectancy is between 12-18 years. The Rat Terrier lifespan is so long thanks to their small size. The average Rat Terrier size is between 13 and 16 inches in height and can range from 22 to 40 pounds. And Demodectic Mange (an inherited, treatable skin condition). Exercise is an absolute necessity when it comes to Rat Terriers. This is a breed that loves to play fetch or with other dogs at your local dog park. So take advantage of this type of activity if you can. They have endless energy and need at least one hour of daily exercise. A bored Rat Terrier is a destructive one. So make sure they get their exercise to ward off bad behavior! 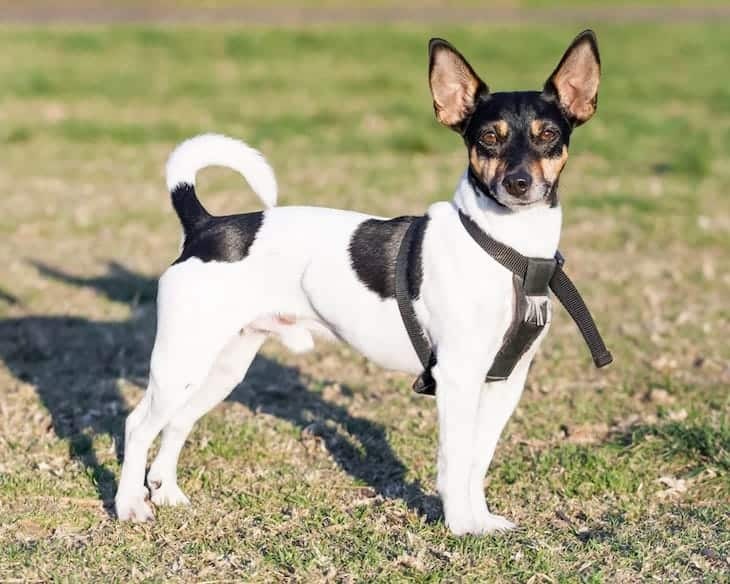 With proper training and exercise, the Rat Terrier makes a perfect family companion – especially those with children or other pets. 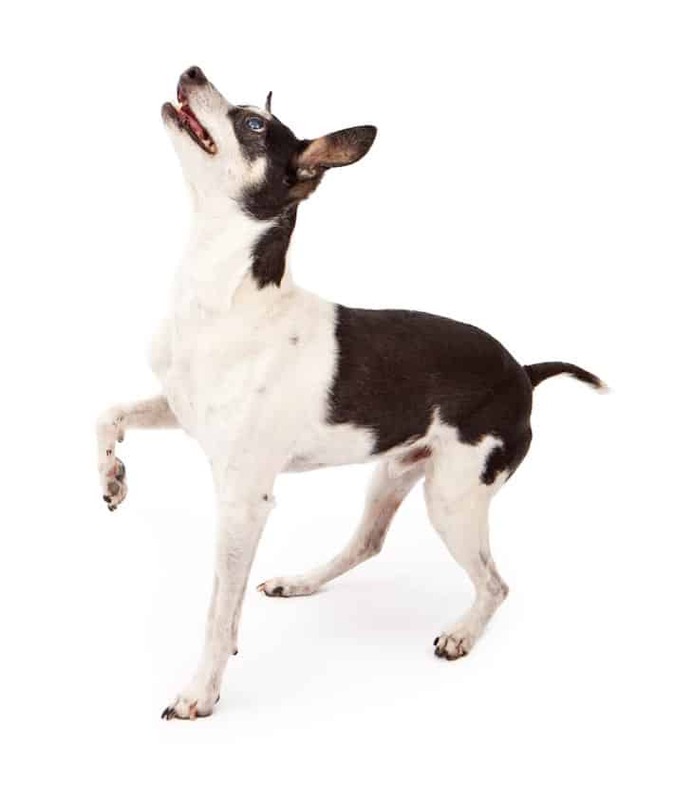 The Rat Terrier temperament is cheerful, outgoing and loving. 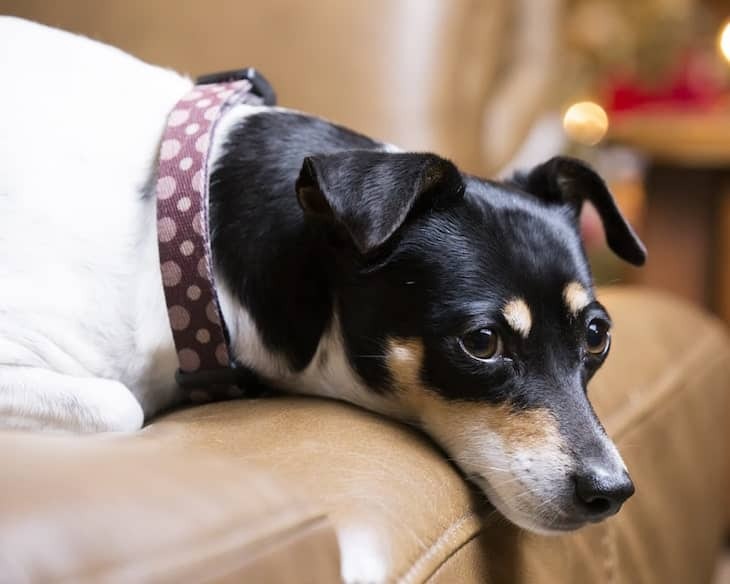 If you’re looking for a small dog with a big personality, the Rat Terrier is for you.